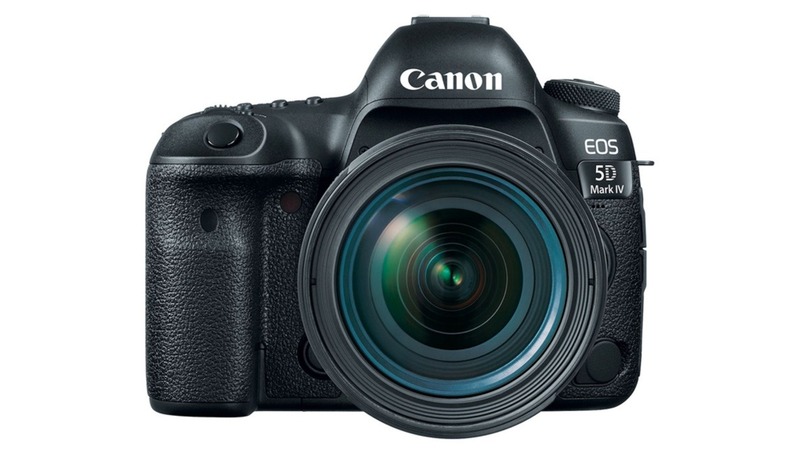 Canon Rumors is reporting that Canon will likely announce an update to the 1D X Mark II in late 2019 and that the 5D Mark IV will too get another update (though it's not clear when) before that series goes mirrorless. Canon's thinking seems to be that both lines are coming due for an upgrade (both having been released in 2016) and that their current mirrorless technology is not of a level that would warrant it replacing those DSLRs (particularly the 1D line). We were big fans of the 1D X Mark II in our review, and it's still a highly capable and refined camera that any mirrorless camera seeking to replace it would have to live up to and surpass. 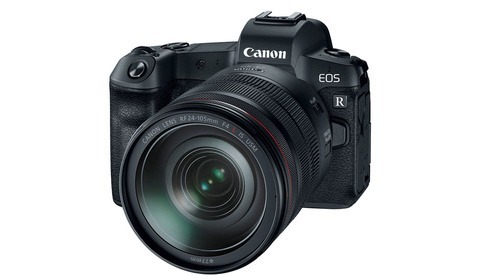 Seeing as the EOS R has been met with very mixed reviews, it's probably a wise decision to give that line time to mature before they replace their top DSLRs. 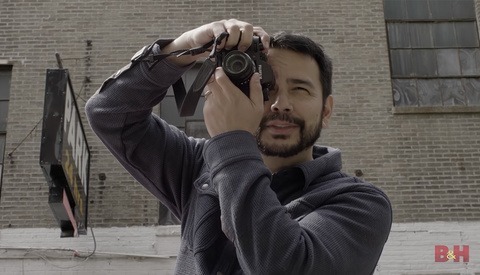 DSLR Versus Mirrorless Cameras: Which Is the Right Choice for You? I'd settle for a considerably wider dynamic range. where do you see it going ? Hey Sam I think that the mirrorless is the future, because of the new mounts Nikon and Canon made for their new cameras. What do you think? Nope. Given the current state of technology, the only ones who need advances are the manufacturers. Increasingly, the market demanding new tech isn't photographers with a need for it but, tech geeks who use photography as one of their outlets, who'll never be satisfied. When mirrorless no longer provides their "fix", they'll move on to something else, similar to Michael's comment below. "... tech geeks who use photography as one of their outlets, who'll never be satisfied. When mirrorless no longer provides their "fix", they'll move on to something else, similar to Michael's comment below..."
Brilliant! I have thought the same thing. All you have to do is look at NFL sidelines and government press conferences---no mirror less bodies for people who have to get the shot and get it right. Mirror less seems to be a prosumer phenomenon. "There's no doubt that the future of the photography industry is mirrorless".... where did you get this from? Quite a definitive statement, isn't it? I think you'd have to be a pretty deep denial at this point to believe that DSLR development will continue on a large scale for much more than a few generations at best. At least in the digital world, SLR technology is going the way of the TLR and Rangefinder. A few companies might hold onto it the way that Leica still makes rangefinders, but even if they could manage, it's going to become a niche market and the larger manufacturers will most certainly move away as mirrorless technology continues to develop and surpass the capabilities of DSLR's. It won't be long before the mirrorless optics for all of the major manufacturers surpass the optics available for DSLR, too. Ultimately, the DSLR will die simply because they are complex electronic devices (as are their lenses) that can't be repaired as simply as mechanical film cameras. Once new bodies and lenses cease to be manufactured and the repair support ceases, their days are numbered. Now whether that will happen in the next decade or whether it will take 50 years, who knows? I know you say it jokingly, but I actually don't think that dedicated cameras will continue to exist by the end of my own lifetime... at least certainly not in the form that we have them today. We're already seeing the convergence of stills and video cameras, massive advances in AI, and advances in drone technology. We'll always have hobbyists who use old technology just like people still use film cameras or explore alternative processes today, but I highly doubt that the bulk of photography will be done in any way that's recognizable to us by the end of my own lifetime. DSLR or MILC, I'm rather skeptical that the future of photography will lie in dedicated devices that we carry in our hands. LOL! There will always be photography just as there will always be painting. It's just that the photography that we know and enjoy is not likely to be widespread or commercially viable. Personally, I think that's fine. Let technology make life easier for work where it helps and at the same time, those of us who want a different experience can continue to use the devices that we prefer. While I don't think that DSLR's will continue to be produced for much longer, there are still enough of them already out there that the people who enjoy them today will still probably be able to find working ones for the foreseeable future even if fixing them once they break becomes impossible. Fortunately, it's generally the mechanical parts of a DSLR that wear out much more often than the electronics so there's some degree of hope in that. You don't have to be a genius to see where the trends here are going, but you do have to be blind to ignore them. I can't tell the future but you would expect the same trend in any market with a new entry. Those who would have preferred the new item, had it been available all along, will buy into it before their normal replacement cycle while those preferring the historically available items will replace theirs at their normal pace. The additional context from studying history tends to make one more conservative in their prognostications. You could argue the example of film to digital but that was a much more dramatic shift. DSLRs to MILCs, while a technological leap, has relatively little impact on the act of photography and none on processing. If you're looking to history for comparisons, the shift from DSLRs to mirrorless is far more similar to the shift to SLRs from rangefinders in the 1960s. The major difference (aside from the technical improvements) was in improved composition: mainly TTL framing. It is the improvements to the shooting experience (you're incorrect that there isn't a big impact on the act of photography between the two systems) that ultimately will have MILCs overtake DSLRs. Being able to see exactly what you will expose is an improvement to the shooting experience that overrides any other perceived limitations for most professionals and amateurs alike. Like rangefinders, there wasn't a change in processing. And there were those who argued (and still do) that the experience of shooting a rangefinder is better than that was an SLR (many say that the tunnel vision of SLRs is limiting, and that you can anticipate a scene better with a rangefinder.) 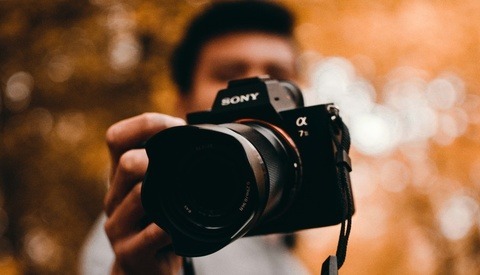 At the end of the day, however, it's not the holdouts or purists that dictate the majority of cameras sales, and therefore the future of the industry. Just as the data is showing, and will continue to show. We ain't talking flash in the pan here, as much as (for whatever reason) you wish that to be the case. So while DSLRs will continue to survive, they will lose their dominant status and become similar niche products like rangefinders. It's not a question of right or wrong, but simply a reality of the photographic community. Change like this has happened before, and it will happen again. Enjoy your DSLR. I still do: I love my D810. But I also love my Rolleiflex, and I adore my X100f. Try not being so stubbornly attached to a "team" or "method" here that you're blinded by the reality. I don't think it's a flash in the pan. I just think it's another option. And I think for *serious* advanced amateurs and professionals, the ability to see the exposure in advance isn't that big a deal. I don't feel hampered in any way by using a DSLR. I've always thought the groups with the most to gain from MILCs are beginners and casual users but, increasingly (speaking of trends), they're happy with their phone cameras. I do enjoy my DSLRs, as well as SLRs and Rangefinders. I'm stubbornly attached to my cameras but don't really care if most photographers move to mirrorless or not. I do think these kinds of advances are slowly sucking the soul out of photography but that's happening anyway. The quest for technical perfection (sharpness, exposure, etc.) is taking emphasis away from the art. You rarely see articles on art but gear reviews and comparisons are everywhere! They use to say the same thing about TTL metering and autofocus: "real" professionals didn't need it. Until they began using it, because professionals don't care about how to impress people with their skillset- they want what works and works efficiently. That's fine that DSLRs work for you. It works for a number of people still, and that's fine. But it won't forever. The new entries from Nikon, Canon, Sony, and Fuji are all professional-grade mirrorless cameras, so no, it's not the amateurs and beginners who need it, it's professionals who want it. And the "we're losing the art" thing is as old as time. Photography itself was supposedly destroying art when it was invented. Too cold and technical. So did the Brownie camera, color film, instant photography, and digital. It's just a whine from people complaining that the way it used to be (and the way they were comfortable with) is now a part of the historical progression of the medium rather than the bleeding edge. Fighting against a rising tide is pretty silly. Either get on a boat or grab a snorkel. I disagree that the shift from DSLR to Mirrorless is comparable to the shift from range finders to SLR in the '60s. In the '60s, the major shift was from the control restricted Brownies and other compact point and shoot pocket cameras to controllable RF and SLRs. During the '60s and '70s, the photography explosion led the middle class hobbyist to want more in their photography. At the same time, there were explosions in tech and sales for near everything. Kitchens filled with appliances, living rooms filled with large screen TVs, yards filled with pools and toys, and cars became bigger, V8s with auto transmissions, and air-conditioning. Cameras were the same. As much as homes also had hand wisks instead of electric beaters, manufacturers still sold RF and P&S cameras on the bottom end and Large Format on the other end. - someone who was there. A lot of people predicted cars replacing horse and buggies but no one predicted the traffic jam. While many predicted refrigerators in every home, no one forecast the avacado green or sun gold yellow refrigerator. We'll know when we get there what the future holds. You're correct: I should have been more specific and state that the shift from rangefinders to SLRs I was discussing was in the professional market, which then trickled down to the consumer and hobbyist markets. Thanks for the catch. I think one could safely assume that mirrorless is the future just because of the mounts. I don't understand your logic. Please elaborate. It’s my understanding that the new “Z” mount of the Nikon will allow for faster glass at about the same size of SLR glass. So I’m thinking that is, the new mount, the deciding factor in favor of mirrorless. The 50 f/1.8S is heavier and larger than the 50 f/1.8G or the f/1.4G. Yeah I just looked up the Nikon lens roadmap for the Z and really nothing special, except for the 58mm Noct 0.95. The article that funny person linked to gives some reason as to why mirrorless is the next thing, other than that I don’t see why dslr is dead man walking. But that is where cameras are heading. I guess I don't really pay any attention to where photographers are going (cameras can't go anywhere).